This new state-of-the-art facility is home to a number of social science disciplines, featuring classrooms and offices as well as laboratory and research spaces. 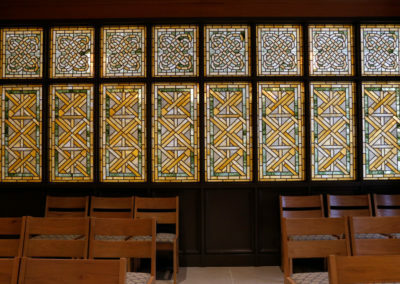 The Hall includes two areas dedicated to prayer and meditation that were designed to feature walls of patterned stained glass. Special attention was needed in the selection of the best glass to create the proper balance of transmitted light, but also allow the space to feel warm and intimate. 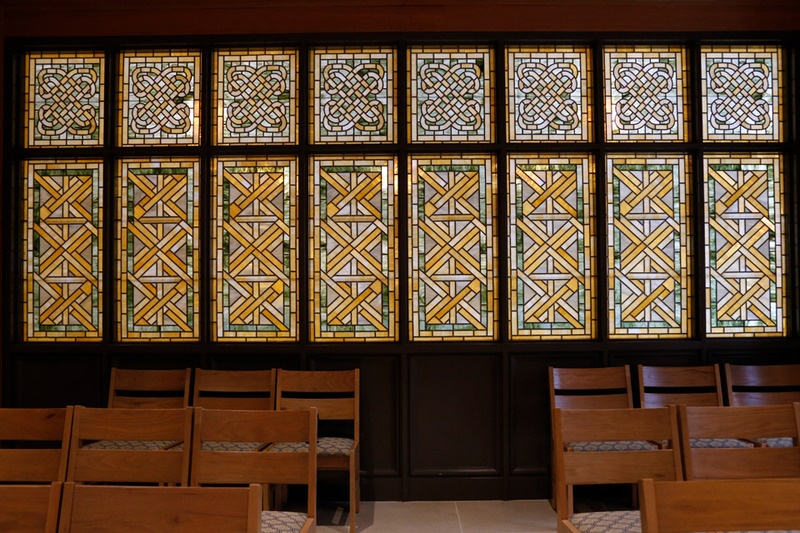 The incorporation of Irish designs to represent the cultural heritage of the campus was also a consideration. A sketch was developed that fulfilled the requested considerations. 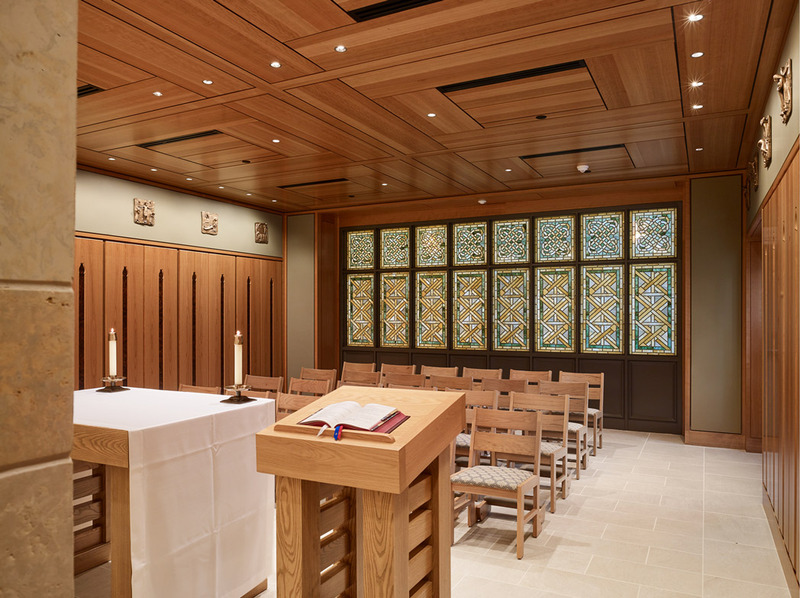 A subtle cross was incorporated into the Chapel design, but the horizontal element was removed for the Meditation space. 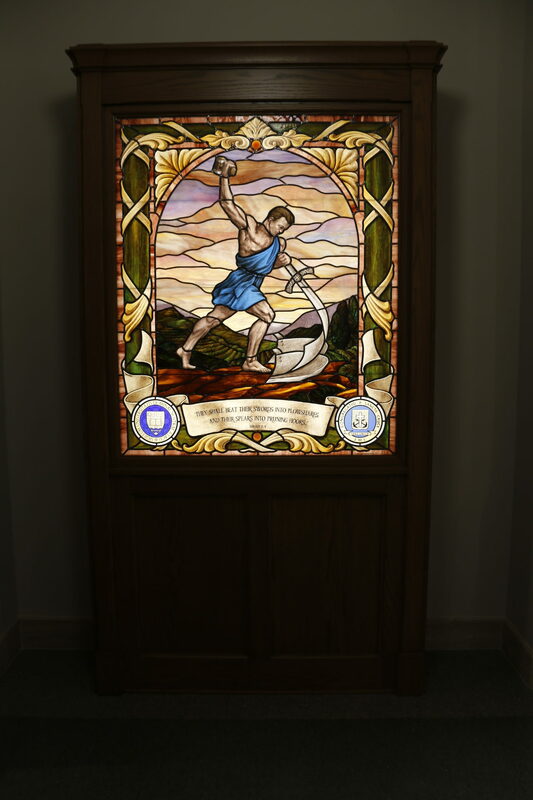 Sample colors were reviewed on-site in the existing lighting conditions to ensure just the right amount of opacity. The palette in creams, golds, and greens is made up of opalescent glass that is sourced from nearby Kokomo, Indiana − perfectly complementing the other finishes in the space. The Celtic knot and interlaced motifs were inspired by ornamentation from the Irish illuminated manuscript, The Book of Kells. 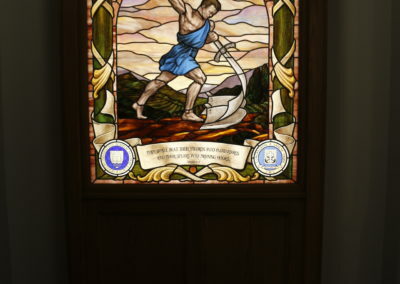 Window seen from interior after installation.